In this opportunity we head off to Northern Bangladesh, to the region of Teatulia. Teatulia is a company that specialises in organic tea from their own single USDA-certified organic garden in northern Bangladesh, offering a range of teas as well as herbal infusions. 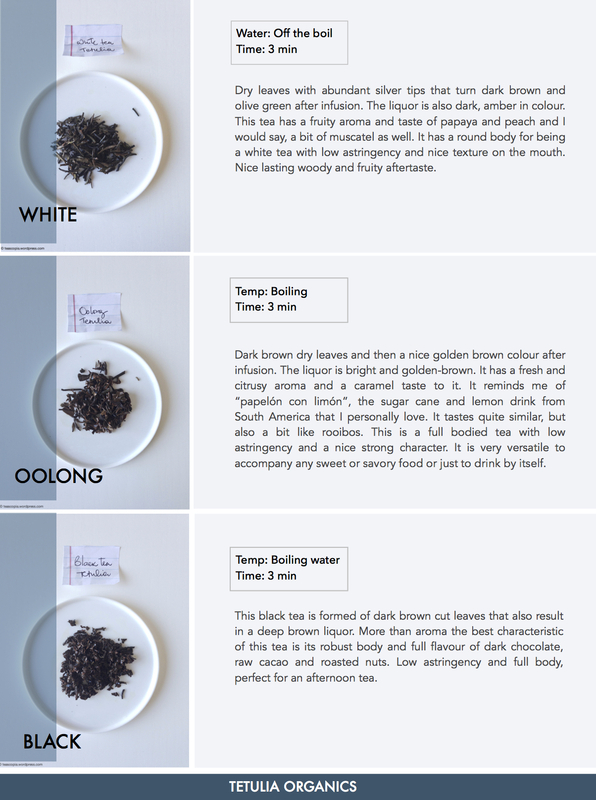 I have had the pleasure to taste and review three of their award-winning organic teas from the North American Tea Championship: a white, an oolong and a black tea and now to share my notes with you. Few months ago I was talking to a Wine Sommelier, as I was looking to buy an organic and natural wine, and she made me taste one of her favourites that she described as “wild”. She used the term to say it was “as nature intended” and I loved it as it perfectly described the taste and the feeling of that particular wine. The experience still lingers on my mind and I think the term can be applied to these teas as well. For me their best quality is precisely that they are natural but sophisticated at the same time, raw and refined; a fantastic result of the way they have been grown and produced. I also appreciate the fact that this brand has a strong social commitment with the local community who works at the garden and the environment. In a world where profit and mass production is the norm, it is refreshing to come across with companies with a sensitive and sustainable approach to business. Thank you Teatulia for this experience! As soon as I discovered the world of tea it instantly turned into a great passion of mine. I had always been a tea enthusiast but it was in 2011 when I became a Tea Sommelier, that I found a new professional career and an inspiration. Teascopia is everything that inspires me about tea, my personal world around it. I hope you can be inspired too!